Laura Colledge (bikini fitness), Dave Walters (men's physique) and Nick Swann (bodybuilding) will be flying the flag at the IFBB World Masters Championships in Tarragona, Spain, which is for competitors aged 35 and over. All three athletes have had their flights and hotel paid for by the UKBFF. The trio have shown tremendous determination by overcoming hurdles and staying on their diets so close to Christmas. Laura spent several weeks this year on crutches, Dave flew to the Caribbean a couple of weeks ago for a funeral and Nick, who is featured in the latest edition of Muscle & Health magazine, was in Dubai last weekend for his daughter's wedding. So they're all winners in our eyes. Laura, who won the UK Nationals in April then competed at the IFBB European Championships before a double knee injury forced her on crutches for six weeks, said: “It's an absolutely incredible experience – a dream come true. 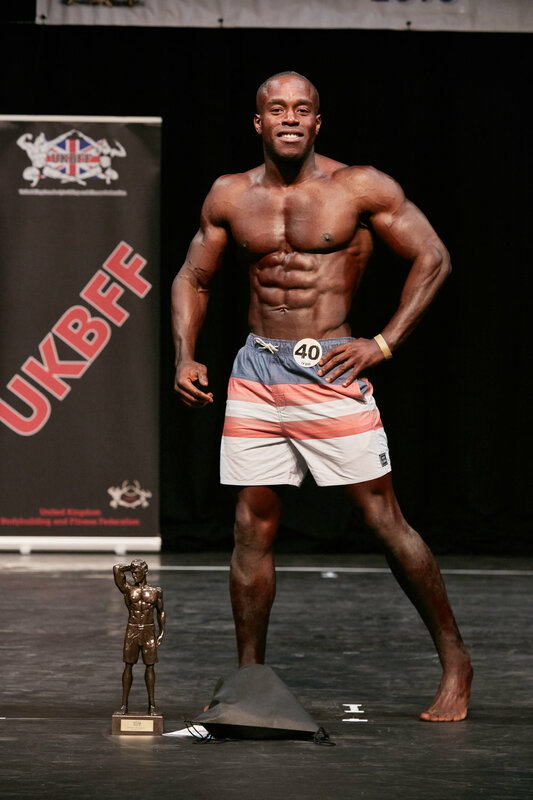 “The UKBFF are paying for flights and three nights in a hotel, all inclusive with food. Dave and Nick have also enjoyed successful years, winning the UK Nationals and the Arnold Classic Europe respectively. Good luck to all three athletes.